Best tasting coffee maker? 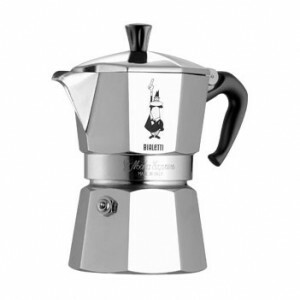 Bialetti. It is as simple as that. There are many coffee machines in the market now and the problem with it is that some of them have many features that is getting confusing as they go by. I am not really fond of all the electric coffee maker as the coffee tastes really bland in some of the machine, also there are cases that it also tastes like plastic. I don’t really like this that is why I still stick with bialetti stovetop. Join in and write your own page! It's easy to do. How? Simply click here to return to Cappuccino maker.